Tiffany lamps can dazzle by their beauty, but also by their colors shade. This item is useful in every room of the house. Tiffany style lamps have lampshades in stained-glass which are American style’s coloured glass assembled. The stained-glass assembly is done according Louis Comfort Tiffany’s processes. Going back over 100 years, the Art Nouveau and Art Deco lamps challenged the time. 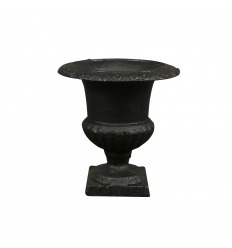 We provide you an entire collection of luminaries to perfect your home. The light is a non-negotiable element into your home, just like in every other construction. That is why luminaries have their own rubric into Art Deco style. Tiffany Lamps are inextricably linked to the Art Nouveau movement. The Louis Comfort Tiffany glass master purpose was to beguile by the incredible quality of this lamps. They are as much decorative as useful in the daily life. 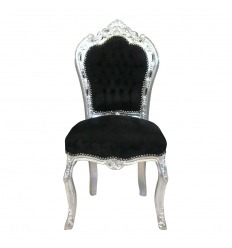 The same initial fabrication processes have served the realisation of the replicas we offer. The whole process is set up so that every piece is a masterpiece. Every Tiffany table lamp is assembled and hand welded. Stained-glass are made of real glass, resistant and craft worked. The models are inspired by the most beautiful glass table lamps created by the artist himself. The fabrication processes are identical to those of the old days for ancestral stained-glass but with materials in the European standards, so that these products will have CE and RoHs certification. They have no Mercure or plomb within them and are made with care to safeguard the environment. They are hand-welded with tin. Ready to use, they are already electrified, with switches and wire blocks. The sole support of each lamp owns a bronze-coloured patinated metal stand. Nothing is simpler to set up the light whenever you want it to be. If you want to know more, please visit our page on these luminaries fabrication. If the lights were all the same, we wouldn’t have created Tiffany’s luminaries. The difference lies mainly in the way this light spread across the room. They stand out using Tiffany glass for their lampshades. They are handmade assemblages of glass of multiple shades of colors that give a wonderful aspect to the light. Whether these luminaries illuminate the living room, the veranda or your room, they dive you in a romantic atmosphere. Art Nouveau style’s stained glass often represents flowers or animals, there are as many shades as models available. Therefore, you can choose a Turtle, Cherub or Pyramid style’s little lamp but also surprising models such as the Parrot one and the list is far away from being exhaustive. 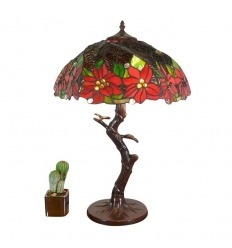 For the floor lamps, you have the choice among lots of models like the Art Deco Lamp or the London Tiffany Lamp. If you can’t find what you’re looking for in this selection, you can travel across our other sections. Just like our table lamps, they offer a range of varieties each more sophisticated than the last. The butterfly lamp could accompany your child all night long for example. And the desk lamp with the orange coloured glass will be perfect for your workplace. The Art Deco lamps stand out from other luminaries by their refinement. These lighting alone contain the whole history of the Art and Decoration period. 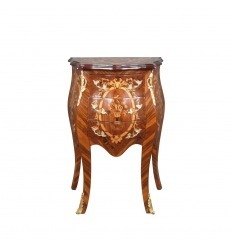 Unlike the Art Nouveau, the Art Deco focuses on the quality of the materials in the craftsmanship of the works. A Tiffany table lamp may require several hundred pieces of glass. No detail is left to chance during its manufacture. 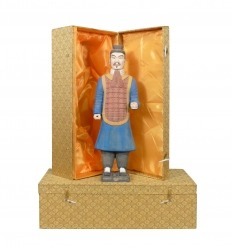 The available models of these luminaries form a range of a breath-taking variety. Everyone can find what they are looking for. 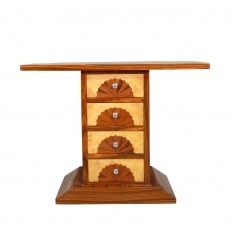 Every piece is unique, you will be assured that you own a product that you will not see anywhere else. The colors, as the forms are of an endless variety, as for the height and function. 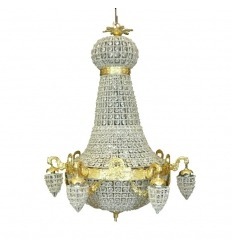 There are ceiling lights like chandelier that offer to your living room a cosy atmosphere, tinted of exoticism. For the floor lamps, whether they adorn the corridor or the living room, elegancy will be at the rendezvous. 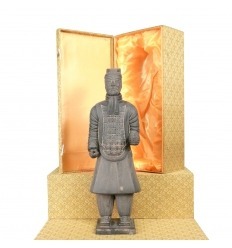 As for its slender structure or its ornaments, your home will not have anything to envy to others. The Tiffany style lamps stand out from other luminaries by their design and the materials used for their fabrication. The stained-glass lamps are the proof. They were shaped with several hundred glasses of quality, worked and polished by hand. Ultimately this makes the product a unique and an exceptional piece. 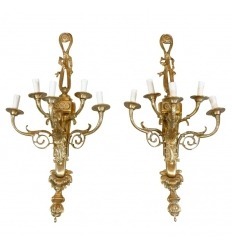 Some sets are also available in Art Nouveau style luminaries. The Memphis set for example, in the Art Deco style, is made of pearly opalescent white glass and black one. Get yourself the beautiful set of luminaries of the Roma line that will dive your rooms into a multicolor light. The Alexander set includes a Tiffany lamp, an applique and a floor lamp at a low price, that could make your home decoration look like a castle. They are all made following the ancestral processes of Louis Comfort Tiffany. By using at the same time his closes collaborators such as Agnès Northrop and Frederick Wilson technics. Each lighting is a work of art. Luminaries can not only light up houses. They can also serve as restaurant’s lightnings, publics lightings or any place that needs to be lighted up. The big dragonfly floor lamp for example, would be a perfect piece for a restaurant, or a private club. The 169 cm of height lamp is surmounted by a wide basin of 60 cm in diameter. This very complex stemmed light is a perfect copy of an original piece of the artist. Our store makes available a wide variety of models. Whether it’s for the room or the living room, you can find the lamp that fits your needs. Like a bedside lamp for your room or a Tiffany table lamp for the living room. Items are delivered in cardboard boxes, consolidated with polystyrene which make the case shockproof. For less than sixty euros, you can get a little London Tiffany lamp with coloured stained-glass. The Tiffany floor lamps are supported by a high lamp stand. They are often installed in the living room as a fill light or just for decoration. 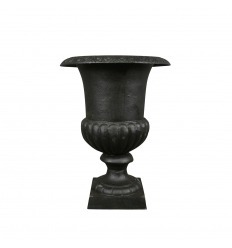 The support is made in bronze-coloured patinated metal, the weighted base ensures perfect stability. They are equipped of a switch and a wire block of course. The materials for the Tiffany floor lamps’ lampshades are the same as for the table lamp, that is to say: stained-glass. These lamps are an element of perfect decoration that binds luxury and simplicity in a perfect marriage. By offering mid-low prices, all has been set up to make available to all purses these lightnings which used to be luxury products reserved for the wealthiest. It’s the same form and quality as 100 years ago but the price has fallen, and everyone can afford it nowadays. You can get a coloured stained-glass floor lamps with bronze-coloured patinated metal stand at a very low price. No matter which model you choose, you will be delivered in 24 hours. Art deco floor lamps will make your interior space especially welcoming. A space in which the past and the present cohabit in harmony. There are a variety of these decoration elements that are made for living rooms. The light in all its forms will take part in your daily life. Don’t hesitate, choose the right lamp for you, the one that speaks to you and order it. These floor lamps are not exclusively for homes but can also be used in work places, boutiques or any space that can receive these unique both functional and aesthetic pieces of decoration. Tiffany wall lights are installed on corridor’s walls or in a room where a ceiling light or a floor lamp will not provide enough lighting. We cannot speak about lightning without the appearance of these decoration objects into our minds. Wall lights are decoration elements that support the light. They can embody as many shapes as they can enlighten any room of the house. A Tiffany wall light can have one, two or three bulbs. Our lamps shop offers hundreds of models made with high quality glass. They will scatter a unique light in your home, pleasant to the eyes and soothing to the mind. Tiffany wall lights will bring an incomparable touch to your interior, thanks to the variety of colors of each glass. In addition, the setting of these art deco appliques has been simplified since the screws and ankles are provided. You can either buy this decoration element alone or combine it with a bedside lamp or a ceiling light. Our store offers sets whose glasses are similar, as well as the colors of the Tiffany stained glass used for their manufacture. The leaded glass lamp shade are changed with tiffany stained glass shade tin solder. The imitation bronze base and glass Tiffany are very solids. Ceiling light is necessary in wide rooms such as the living room, dining room or the kitchen. Tiffany ceiling lights are as varied as there are styles, with shimmering and timeless colors. These lights will offer to your home a cosy atmosphere. They can be the lighthouse to your home. The light is present to illuminate your beautiful rooms, it will enhance your layout by its clarity. It will illuminate the occupants of the house with a light full of colors. With the ceiling lights, you can choose the ton, the shades of colors proposed are of a very wide variety. You can select two ceiling lights of the same shape but of different colors or make a selection with the same stained-glass but a different shape. These ceiling lights can be completed by wall lights or floor lamps. There are in the Art Deco style sets with the same coloured stained-glass. You can get a set composed with a ceiling light, wall lights, floor lamps and table lamps. Matching the lights throughout the household becomes child’s play and a pleasant time. The different lights diffused by the stained-glass can create a thousand- and one-night atmosphere. The dragonfly Tiffany ceiling light is perfect to give your room some romanticism while the baroque Tiffany floor lamp will give a retro atmosphere. Concerning the Indiana line, it’s composed by a ceiling light, a wall lamp and a Tiffany table lamp. This last one is surmounted by a wide lampshade on a metallic support. The line is shaped with real glasses of matching colors, giving to the interior a convivial atmosphere. The American artist Louis Comfort Tiffany created many works of art, notably with his company Tiffany Studios. He's create too some glass windows. You can see all our collection in our site map. Get these luminaries is now at your reach. Order from our store for your purchase of ready to install lamps and the light will be your ally. Don’t hold back! 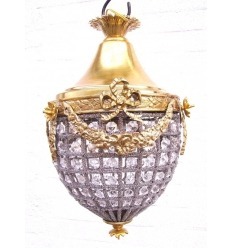 Baroque Tiffany wall lamp from the Indiana series. The Tiffany Nice lamp is made with stained glass windows made of real glasses assembled by hand, and inspired by the most beautiful models of the creative artist. Wall lamp with a stained glass window with floral decoration, assembled with pleated glasses, smooth and pearls. 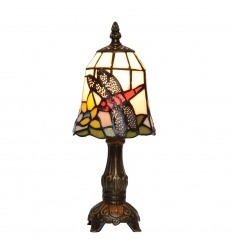 Baroque Tiffany lamp from the Indiana series, with a patinated metal foot in bronze color. Tiffany style wall lamp with floral stained glass with cabochons. The stained glass of the Tiffany wall sconce series London is uniform, installed the wall lamp will diffuse in your home a pleasant light. Designed to be hung on the wall, the Tiffany Nice wall sconce is essentially made of stained glass windows assembled by hand and soldered with tin, according to a traditional concept. Tiffany style wall lamp with leaf crown for frame with floral decoration composed of stained glass with cabochons. Art Deco Tiffany floor lamp from the Memphis series made with an iridescent and pleated geometric stained glass, with pearlescent and opalescent white. For the lighting of your walls, illuminate your house with a Tiffany wall light from the Mediterranean series, for a zen and bright atmosphere. The light of your home will be synonymous with softness, with this Mediterranean stained glass light. The stained glass window of the Tiffany London lamp with its uniform stained glass window, will spread in your home a pleasant light. 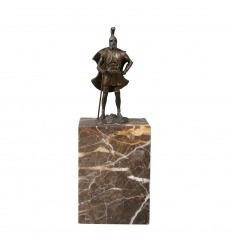 The foot is patinated metal bronze. Tiffany turtle lamp with a real glass stained glass. The lamp Tiffany style flower is made of stained glass made of real glasses assembled by hand, soldered with tin according to the ancestral process of Louis Comfort Tiffany. Baroque Tiffany floor lamp from the Indiana series. The small dragonfly Tiffany lamp is designed according to the ancestral method, with windows joined manually, soldered with tin, and a patinated metal base of bronze color. For an original decor, choose a Tiffany parrot lamp. A torch-shaped lighting, allows you a soft light, the lamp also sees the colors of its stained glass highlighted. Tiffany lamp with floral stained glass for a height of 40 cm. Its stained glass window art nouveau style white background, will illuminate your room with ease. The window of the Tiffany floor lamp series London is uniform, it will diffuse in your home a pleasant light.